It is the distaste that arises from vairAgya that is called *nirvedaM*. When one obtains complete indifference to worldly matters, that is ‘nirvedaM’. Incidentally, it is this feeling that is at the source of ‘shAnta rasa’ – says the alankAra shAstra. ‘vairAgyaM’ and ‘nirvedam’ are similar words. It is also spoken of in the same Upanishad (I – 2 – 12) that speaks of *vItarAga*’s. The Acharyal comments in his bhashya: The prefix ‘ni’ added to the root ‘vid’ gives rise to the word ‘nirvedaM’ and the meaning is ‘vairAgyaM’ - *vairAgyArthe*. Two things that are spoken of very highly in the path of karma is what is known as *ishhTA-pUrtaM*, namely the yajnas and social services. But even they are only preliminaries (*pUrvAngas*) to be renounced after they have taken us to jnAna-yoga. Instead of taking them to be part of karma yoga, those who think they can lead us to the goal are only downright fools -- *pramUDha*’s, says the Upanishad. ‘Not just ordinary fools, but totally deluded fools’. 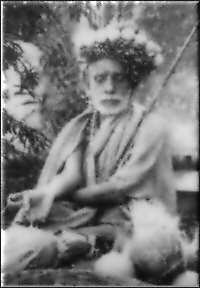 “An intelligent brahmin should discover by analysis that even the heavens that one obtains even by the highest type of karma are only ‘anitya’ (impermanent) ; should get the knowledge that brahman which is actionless cannot be obtained by any action; and thus get *nirvedaM* , that is, he should get vairAgyaM. Thereafter he should seek a Guru who is a brahma-nishhTa, get the upadesha from him and himself get brahma-jnAna”. Earlier we saw that Karma yoga is the first stage; to get the formal teaching for brahma-jnAna after becoming a sannyAsi is the third stage; what comes in between as the second stage is the SAdhanA-chatushhTayaM; and the second item in this four-fold SAdhanA is vairAgyaM. But here the first stage is spoken of as karma, then is mentioned only vairAgyaM and then quickly the teaching of brahma-jnAna, which is actually the third stage, is mentioned. From this it is clear that vairAgyaM alone suffices and if one holds on to it steadfastly, all the four parts of SAdhanA-chatushhTayaM will be acquired automatically. When the Acharyal is writing the BhashyaM for this Upanishad, several mantras earlier, when the matter of the worldly apara-vidyA and the spiritual parA-vidyA comes up (I – 1 -5) he says: “All can study the Brahma-vidya intending to give Brahma-jnAna and become very knowledgeable; but if one wants to get the experiential knowledge of Brahman, one has to go, with vairAgyaM, to a Guru, and get the upadeshaM – *gurvabhigamanAdi- lakshhaNaM vairAgyaM*”. Thus he refers only to vairAgyaM here.